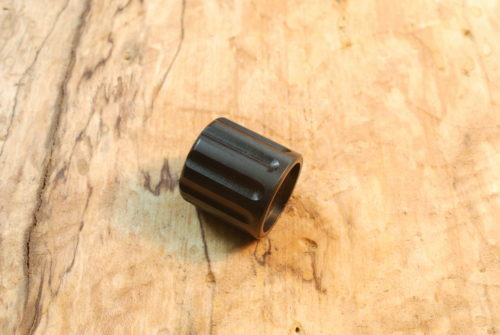 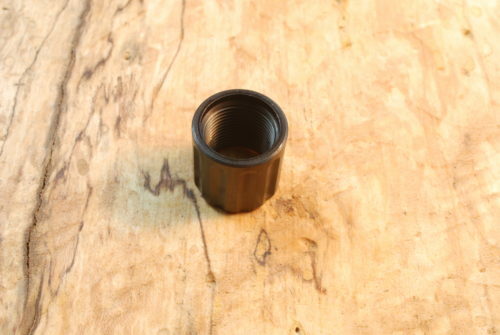 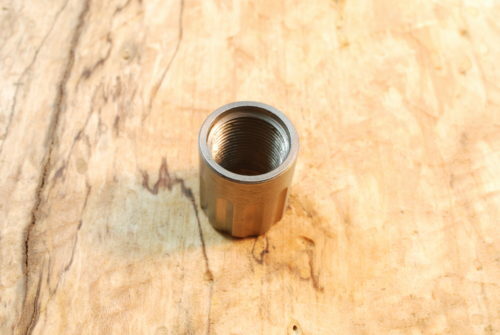 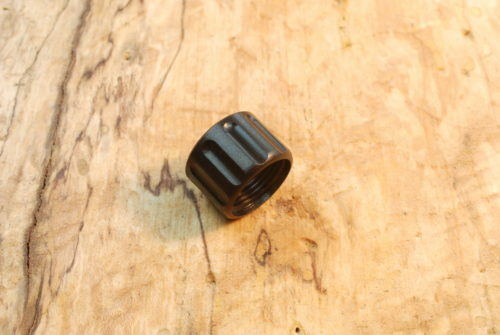 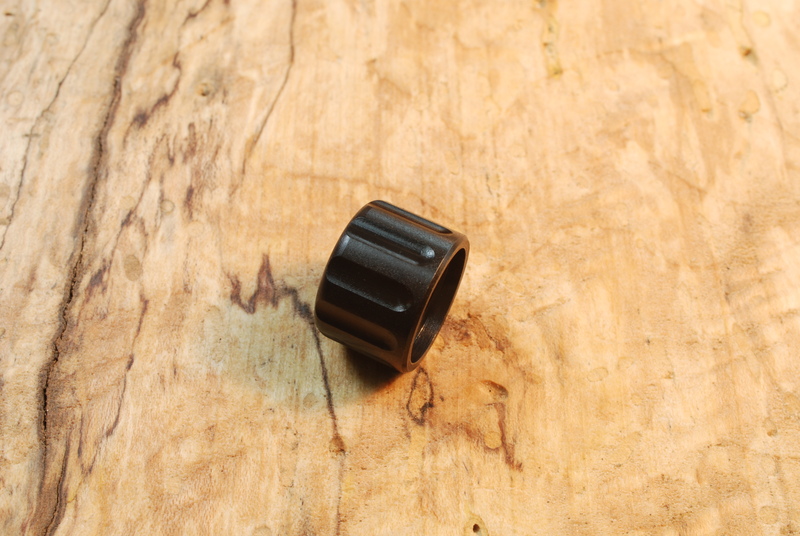 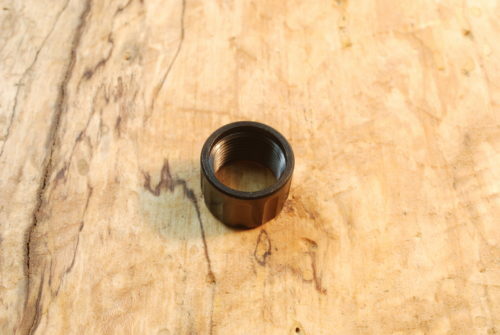 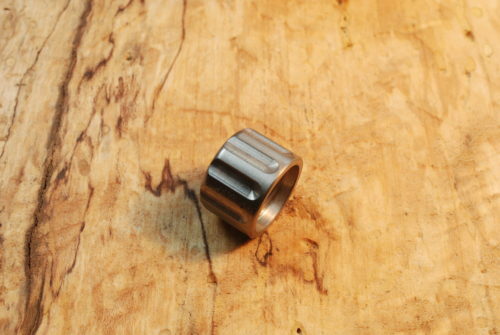 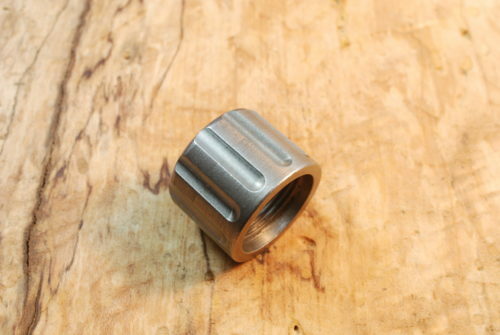 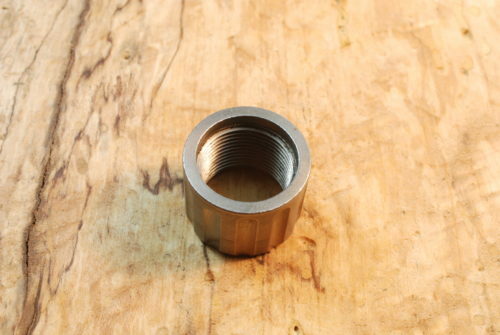 This is a machined thread protector 7/16″ long, with a fluted 5/8″ OD. 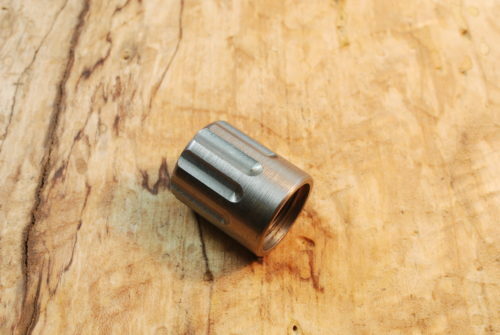 It fits Barrels and Adapters Using 1/2″-28 Threads Per Inch Don’t run the risk of damaging the threads when muzzle accessories are not being used. Protective Cap is Steel with a Black Oxide Finish Approximate Dimensions 5/8″ O.D. X 7/16″ Long. 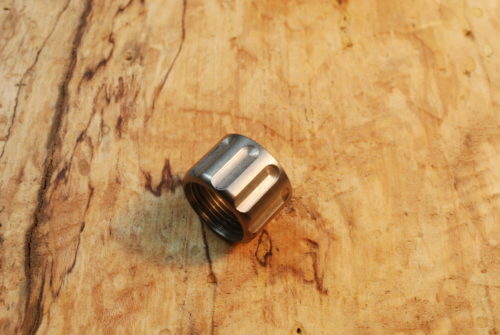 Please measure the length of the thread on your barrel or adapter to be sure that 7/16″ long will cover your thread.